NEIN? 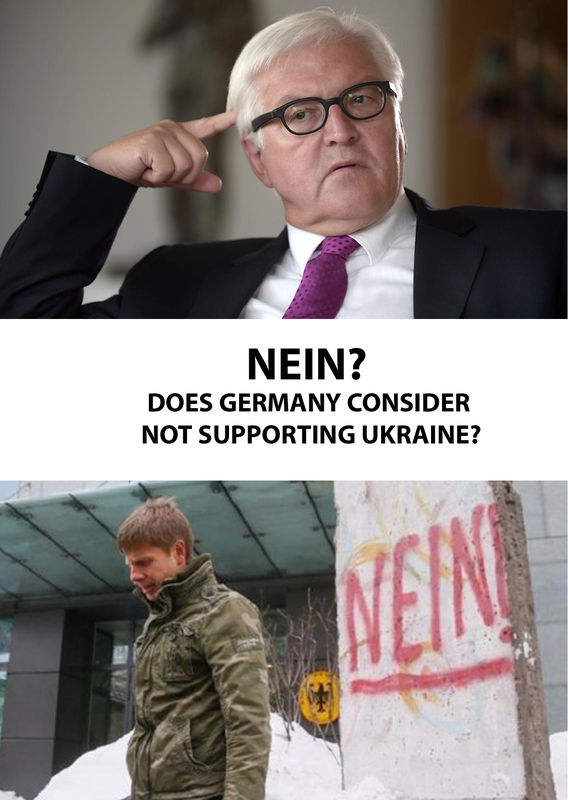 DOES GERMANY CONSIDER NOT SUPPORTING UKRAINE? 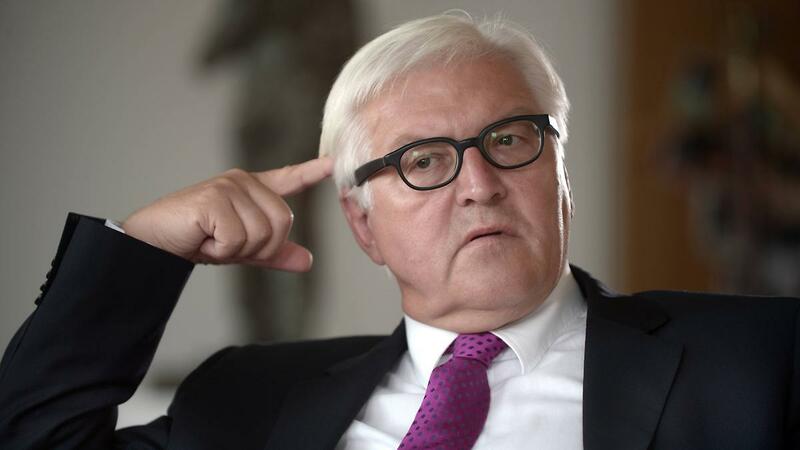 The former German Foreign Minister Frank-Walter Steinmeier was elected as the President on Sunday. What does it mean for Ukraine and how will it affect the Donbass problem? 73.9% of the present members of German federal assembly voted for Steinmeier. It seems that the ruling coalition does not see significant differences between his and their vision of foreign policy towards Ukraine. So leading parties support all steps of ex-Minister of Foreign Affairs including the Minsk agreements according to which Ukraine has to hold the elections in Donbass. Meanwhile, the newly appointed President of Germany intends to seek dialogue with Russia and the United States. Steinmeier noted that “new order of international relations” is forming now, it is difficult to predict its course. Answering whether he intended to visit Russia Steinmeier gave no answer but said that he cannot refuse a dialogue “even with difficult partners.” He added that intervention in foreign policy is not his task. However other political analysts believe that the federal president Steinmeier will have only ceremonial functions, and his appointment is a kind of a honorable resignation, a completion of his political career. But new German Foreign Minister Sigmar Gabriel is in favor of cooperation with Russia. He has repeatedly emphasized that Europe should cancel an economic sanctions against Russia. Therefore, Kyiv is likely to have to defend itself alone. Recently Ernst Reichel, the Federal Republic of German Embassy, in Kiev said, that he stands for elections in conflict zone. 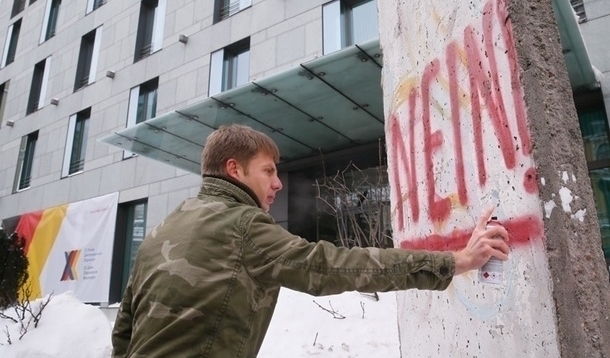 His statement provoked protest of The Verkhovna Rada deputy Alexey Goncharenko who wrote the word «NEIN» (no) on a fragment of the Berlin Wall near the FRG Embassy in Kiev. 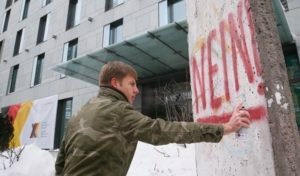 «Berlin Wall is a powerful symbol of recent Russian occupation, so I gave a clear and short reply to the Ambassador in clear language. Elections have to take place in Donbass according to the Ukrainian legislation without the presence of the occupation forces». However, many representatives of the Ukrainian political establishment have criticized the deputy performance, calling it the vandalism. They bother about the risk to spoil relations with Germany angering its diplomats. Obviously, finding the right tone for the speaking with the most powerful EU country will be an egg-dance for Ukraine.